MPV Everest can operate in ambient temperature as low as minus 30 degree Celsius. Keppel Offshore & Marine Ltd's (Keppel O&M) subsidiary Keppel Singmarine delivered a multi-purpose ice-class vessel to New Orient Marine Pte Ltd, a subsidiary of Luxembourg-based Maritime Construction Services SA (Maritime Construction Services). According to a press release, the vessel, name MPV Everest, was completed with a safety record. 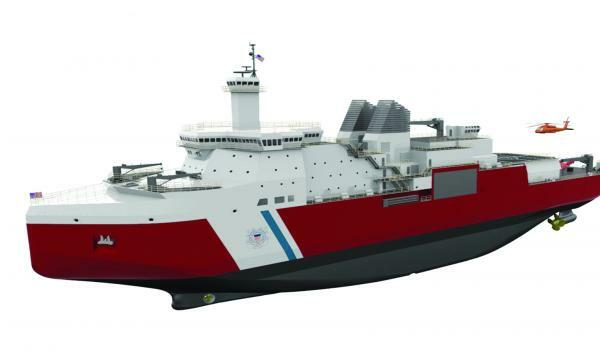 It is Keppel Singmarine's 11th ice-class vessel. MPV Everest can operate in ambient temperature as low as minus 30 degree Celsius. It will have an Ice Class Arc 5 notation and capabilities such as Class 3 dynamic positioning and navigating in ice of up to 1 metre thickness. MPV Everest's versatility allows it to carry out subsea repair and construction activities at 3000 metres of water depth, well intervention, diving support services with an 18-men twin-bell system, fire-fighting and emergency rescue operations, as well as towing and the provision of supplies in Arctic terrain.